The work was originally titled Entelechy, a Greek word meaning completed realization. I was in love with the title, but a Connecticut theater executive director chastised me: What the heck is the piece about? Get the name of the composer or performer in the title, he went on. Well, he was right, and I’ve pretty much done this since but I do use the word entelechy in the script. So there. When I wrote Entelechy, er, Beloved Brahms, classical music critics, serious art critics of all stripes, had not yet begun their perilous decline. Today, it is hard to imagine the influence and persuasion Eduard Hanslick possessed as the most powerful music critic of 19th-century Germany. 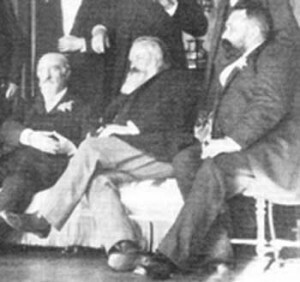 An ardent Brahmsian, which by definition meant he could not be in the Wagnerian camp, he tells the story of the battle between Brahms, a believer in “absolute” music, using the forms of fugues, sonatas and symphonies created since Bach’s time, and Wagner, who felt these forms were obsolete and a “new” music was needed for contemporary truths to be revealed. I’ve set the scene one hour before the new century, December 31, 1899, as Hanslick reminiscences on all the dead titans he wrote about for half a century. 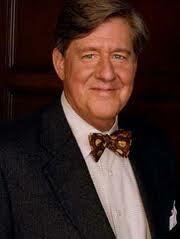 It has been the greatest joy experiencing Edward Herrmann play Eduard Hanslick. A consummate actor, an enthusiastic and knowledgeable classical music buff, a friend. Thanks, Ed.